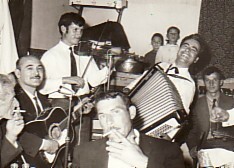 Above: Two photographs taken while I was holidaying on Lesvos (1970). I met some old friends and they invited me to play in their band. 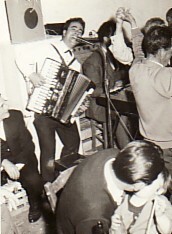 Menelaos played violin/trombone, Mihail played piano, Efstratios played bouzouki and I played accordion. 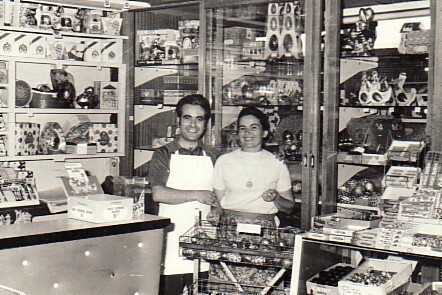 Above: With an employee in my family business, a milk bar in Heidelberg, Melbourne (1969). 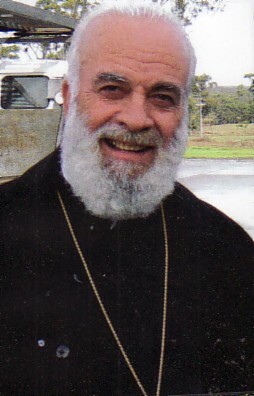 Above Right: A portrait, as a Greek Orthodox Priest.